Welcome to the internet parent education workshop. A place to build parenting skills that help parents to discipline kids from toddlers to teens as well as to encourage children and adolescents to feel positive about themselves and to become the winners they were meant to be. Lots of practical solutions for parents as well as tips for improving communication,building positive relationships and other useful parenting skills. The goal of parenting is to teach kids to develop self-discipline. Many parents feel spanking is necessary for effective discipline. 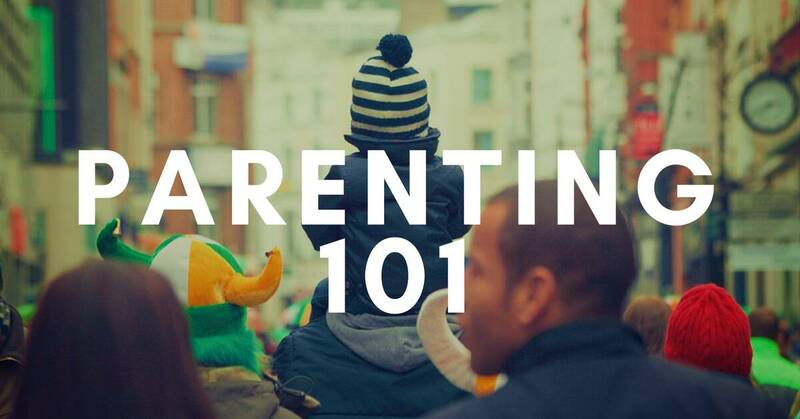 When parents learn and apply the three Fs of Effective using the parenting techniques on this page and others, they find that yelling, screaming and spanking disappear and a positive relationship is established. Want more help? Visit the [Parenting Skills] and the [Emotional & Social Development] sections of the CDI Store. Friendly: Use a friendly but firm communication style when letting a children know they have behaved inappropriately and let them know they will receive the “agreed upon” consequence. Encourage them to try to remember what they should do instead to avoid future consequences. Work at “catching them being good” and praise them for appropriate behavior. See your role as that of a teacher or coach to your children. Demonstrate in detail how you would like them to behave. Have them practice the behavior. Give them encouragement along with constructive criticism. Try to set aside time on a regular basis to do something fun with your children. Rather than tell them what not to do, teach and show them what they should do. Use descriptive praise when they do something well. Say, “I like how you ____ when you ____.” Be specific. Try to see a situation the way your children do. Listen carefully to them. Try to form a mental picture of how it would look to them. Use a soft, confident tone of voice to redirect them when they are upset. Be a good listener: Use good eye contact. Physically get down to the level of smaller children. Don’t interrupt. Ask open ended questions rather than questions that can be answered with a yes or no. Repeat back to them what you heard. Make sure they understand directions. Have them repeat them back. When possible give them choices of when and how to comply with a request. Develop a nonverbal sign (gesture) that your children will accept as a signal that they are being inappropriate and need to change their behavior. This helps them to respond to your prompt without getting upset. When ever possible try to use reward and praise to motivate your child to improve their behavior. Combine reward with time out for serious disruptive or defiant behaviors. Say, “Every time you ____, you will have a ____ time out. If you can go the whole (day, afternoon, etc.) without getting a time-out, you will earn ____..
Make up a chart with 30 squares. Tell the child that each time he does something the first time he is asked, a happy face will be placed in a square. When all the squares are completed, he will earn a reward. Mutually agree on the reward. For younger children, you can place a picture of the reward on the chart or for older children you can write it on the chart. Then practice with the child how he is to behave. “Each time I ask you to do something, I want you to: (1) Use good eye contact, (2) Listen quietly, (3) Say OK I will ____. then (4) Do it.” Practice this, making a number of requests. Be sure to praise him for each success during practice as well as when the program starts. By the time the squares are filled, he will have developed a new habit. When he completes the program, provide the reward immediately. Take the chart down and let him have it as part of the reward. Continue to use praise and encouragement to make sure this new habit remains and becomes even stronger. If your child is having a lot of difficulty getting along at home consider using the “Family Chip System.” This is a very powerful tool. When used consistently, most children will show great improvement within just a few weeks. The program provides immediate reward for appropriate behavior and immediate consequences for inappropriate behavior. By the way, if you have other children around the same age as the child for whom you are designing this program, put them on the program as well. Children really like this system. Parents love the system. Purchase a box of poker chips from the drug store. Hold a family meeting to discuss the need for the program. Tell the children that it will help them to learn to be in charge of themselves. You can tell older children that this system is similar to what adults experience: (1) Adults earn money for working; (2) Adults have to pay fines for breaking rules like speeding or make a late payment; (3) Adults spend their money on things they need as well as a few things they want. Develop a list of behaviors they will earn chips for. Start with the morning and then go throughout the day looking for behaviors to reward. These can include positive attitude, self-help behaviors and chores. If you are using a behavior modification program for school you can give them chips for each point earned on that system. Some possibilities are: getting up on time, brushing teeth, getting ready for school on time, playing nicely with brother or sister, completing chores such as feeding a pet or taking out the trash, saying please and thank you, doing things the first time they are asked, doing homework without a fuss, getting ready for bed on time, going to bed on time, cleaning bedroom. Agree on a list of behaviors that result in a loss of chips. These can include behaviors that are oppositional, defiant or disruptive. Some examples are: tantrums, yelling, screaming, fighting, arguing, throwing things, jumping on the furniture, getting up after bed time, swearing, putting others down. (Some more serious behaviors will receive a Time Out as well as a fine). Agree on a list of privileges they will earn and pay for with chips. Some privileges will be bought for the day, others will be bought for a period of time (usually 1/2 hour). These can include: watching TV, playing outside, computer time, renting their bike or other large toy, playing a game with a parent, etc. See Suggestions of Rewards For Kids. Be near your child and able to touch him (not 20 feet or two rooms away). Look at your child and smile. Use a pleasant voice tone. Make sure your child is facing you and looking at you. Describe the appropriate behavior for your child so he know exactly what behavior he is being praised and rewarded for. Hug your child occasionally or use some other form of positive touch. Be near you child and able to touch him. Give your child the chip fine. Make sure your child gets the chip appropriately. If a chip loss is taken very well by your child, it is a good idea to give him back a chip or two. If your child is too mad or upset to give you the chips, don’t force the issue. Place your child in time out (to cool off) and then get the chips. You should be facing your parents, looking at them and smiling. You should acknowledge the chips by saying “O.K.,” “Thanks,” or something else pleasant. You should acknowledge the chip loss with “O.K.” or “All right,” “I’ll get the chips,” etc. (You must keep looking at them and be pleasant). Post the list of behaviors and chips earned in a convenient place. Let your child decorate a paper cup in which to keep their chips. Place the “bank’s” chips is a jar or bowl and put it in a place that is out of reach of children. Start using the program. Feel free to modify the program at any time by holding a meeting. Sometimes point values need to be raised or lowered to achieve a goal. You may add or remove items from the list as well. After about 6 weeks, you may be able to start short trials off the system. Say, “Today we are going to try not using the chip system. If things go well we will try it again the next day.” If the trial is successful continue for about a week. If things continue to go well, hold a meeting and celebrate all that you and your child have both gained from the system. If your child is not ready, continue with the program. Note: If your child runs out of chips, have a list of extra chores they can do to earn chips so that they remain on the system.